The Las Vegas Club was originally opened in 1930 and only closed its doors in 2015. 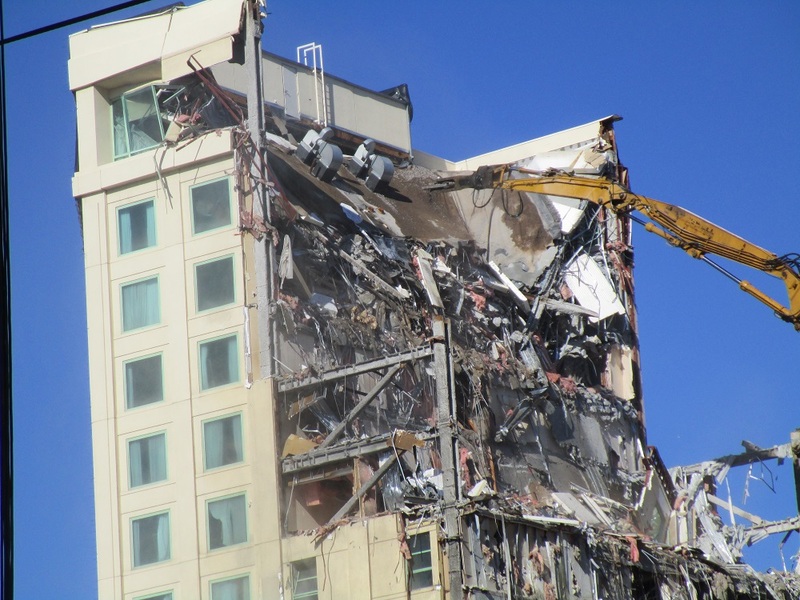 Here’s a couple of pictures of the hotel portion of the property being demolished. This was the last building to be torn down. This hotel tower was located on Main Street. Both of these photos were taken on Fremont Street in front of where the Mermaids Casino used to be (now torn down as well). The owners are planning on building a new property at the same location. 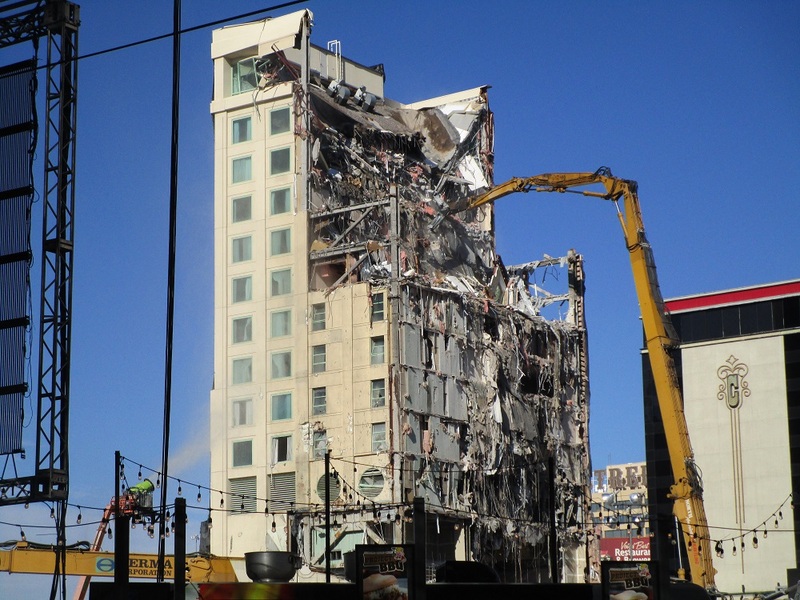 Modern hotels on the Strip are imploded in dramatic fashion. The Las Vegas Club was either too old, too small or perhaps a little of both for detonation. The building was literally torn down from top to bottom in chunks. On a side note, the owners of the Las Vegas Club and Mermaids properties, the same people who currently own the Golden Gate and The D’s casinos, also bought the property across from the Las Vegas Club. 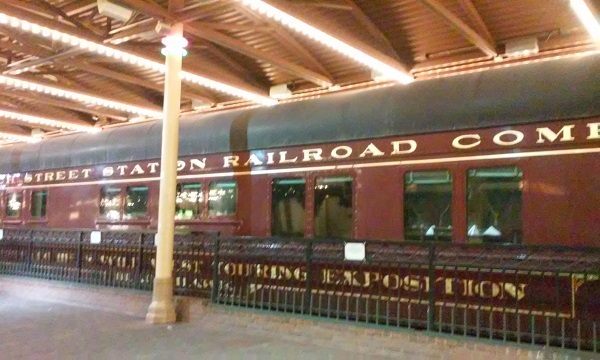 It was an empty lot, but it had a couple of authentic passenger railroad cars that visitors to Downtown Las Vegas enjoyed looking at. Both cars were well preserved, and you could see inside the windows. The passenger railroad cars were auctioned off and will have a new home north of Clark County, Nevada. In case you don’t remember these railway cars, here’s a photo.